Child beauty pageant queen JonBenet Ramsey was found murdered on Christmas Day 1996 in the basement of her family home in Boulder, Colorado, USA. Found was a ransom note asking for $118,000, which happened to be the exact amount of John Ramsey’s (JonBenet’s father) bonus. The note went on to say he would get a call by 10 a.m. the next day, although this call never came in. JonBenet was found with a rope garrote around her neck. Out of the same rope were ties around her wrist. The main question was who could have done this to an innocent child? 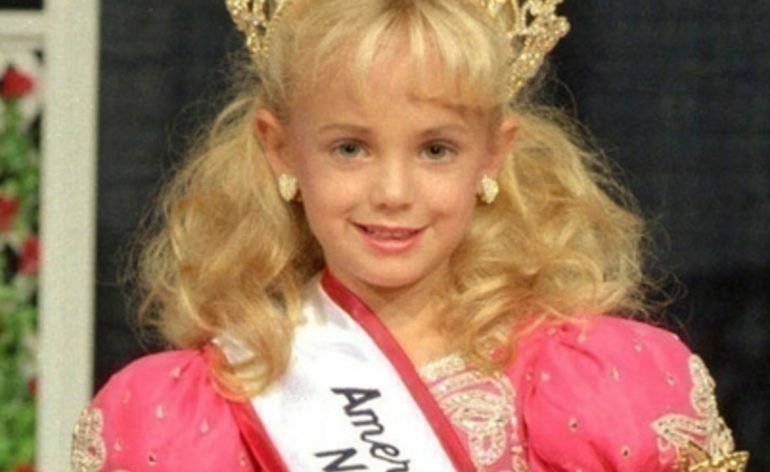 JonBenet was a beautiful little girl, who participated in many beauty pageants. She was a little girl who just enjoyed her life. Investigators immediately focused on the family, mainly JonBenet’s mother and father. This was partially due to the ransom note. Why would someone write a ransom note if there were not a kidnapping? After some investigation, it turned out that the note was actually from materials from the Ramsey’s home. How did the murderer get into the house, kidnap and murder JonBenet, and write a note using JonBenet’s mother’s notebook, all without waking any of the family? DNA testing was done of the crotch of JonBenet’s underwear, where blood had been found. This resulted in a strong profile, however, the results were of an unknown male was not matched to anyone who had been near the scene or who had handled her body, including her father or brother. One suggestion is that it came from a factory worker who made or packed the underwear, because the underwear was straight out of the packet. It was not until 2006, that the case made headlines again for the first time in ten years as an investigator had another idea to help setting the DNA issues to rest, for the last time. A DNA test was ran the clothing JonBenet was wearing the night she was killed. The idea was that they would test the waistband of the child’s long johns, where someone would touch them to pull down the clothing off the little girl. The results caught everyone off guard. It was found that the unknown male DNA, which was originally found in the crotch area of JonBenet’s underwear, matched, or was at least consistent with the unknown male DNA that was found on the waistband of the long johns. This suggests that the DNA on the underwear was not the DNA from a factory worker, and was far more likely to have been her killer. Questions and theories over the last 20 years continue as former investigators and experts continue to speculate on what happened to the little girl. There may someone, somewhere, that has knowledge on the murder, but to this day, that individual has not stepped forward.